A new community cafe in Cliftonville will be bringing people together with affordable meals – and using food waste to do it. The Kitchen CT9 opens at 3 Cliff Terrace in mid-November. Taking surplus food that would otherwise go to waste from local shops and superstores, it will create a simple menu with affordable prices, to create a cafe that everyone can use. Currently, a third of all food produced – weighing 1.3 billion tonnes – goes to waste. The Kitchen CT9 is part of the Fare Share network, a national charity which takes fresh, in date and good to eat surplus from the food industry that would otherwise go to waste. Last year they took 16,992 tonnes of food from partners including Birds Eye, Kellogg’s Tesco, Asda, and Sainsbury’s. The Kitchen CT9 is also part of the Community Fridge Network, allowing local people to share their own surplus or unwanted food. The average UK family wastes £810 a year by throwing away food and drink which could have been eaten. Despite growing awareness of food waste, there are few easy ways for people to give food near its ‘sell by’ date to others. The Community Fridge will be the first one to open in Kent. Founder Ann Newstead said: “Taking inspiration from the “la cucina povera”, the ‘peasant’ (or literally ‘poor’) cooking style of Southern Italy, The Kitchen CT9 is a community cafe using food waste to tackle food poverty in our area. The Kitchen CT9 has been set up by the Thanet Iceberg Project, founded by Ann Newstead and Alexander Roarke. The couple have previously run successful supper clubs in London and Margate, and supplied food to a range of local businesses. 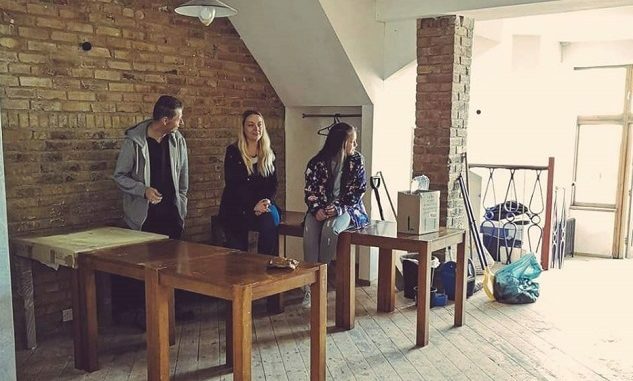 So far, the team have raised over £20,000 which has been used to bring the building’s kitchen back into use, with new flooring, electrics, plumbing and ventilation. Over the next few weeks, the charity is raising additional funds to carry out the final, essential building work and finish decorating the interior. The Kitchen will operate over two floors, the ground floor will be the cafe area designed around the feel of a domestic open plan kitchen, with downstairs being turned in to a “snug” available for other not-for-profit community organisations to use for free, or for hire by other groups. With a daily changing menu, The Kitchen will operate a two tier pricing system: “need it” and “want it”. 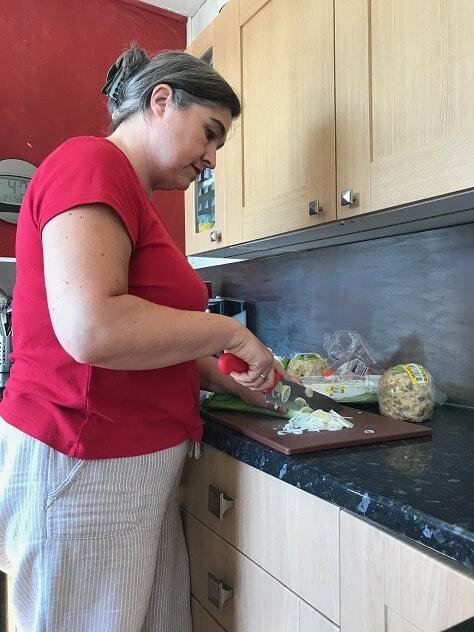 Ann (pictured above) said: “The ‘need it’ price will be set as low as possible to make good food in a cafe environment affordable for everyone in the community, including families on tight budgets or relying on benefits. “The idea of the ‘want it’ price is that, whilst still being excellent value for money, the customer has the chance to pay forward the profit from their meal to help those in more difficult circumstances”. 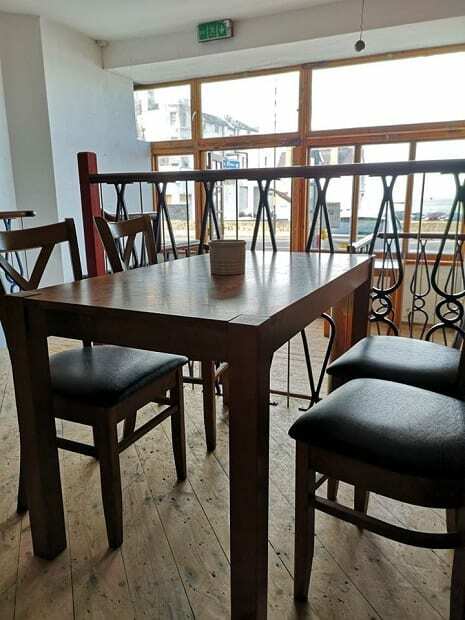 The venture has been supported by a range of local businesses, including Angela’s of Margate, antique shop Paraphernalia, P & P Windows, and estate agents Cooke & Co. Margate restaurant Buoy & Oyster has donated tables and chairs. The project has also had support from the Big Lottery Fund, and smaller donations from residents which are being used to buy essential equipment ahead of opening.